Blurb: Watch everyone. Trust no one. When a young woman, Eva, arrives at Kasper's door seeking the whereabouts of a British pilot, he feels a reluctant sympathy for her but won't interfere in military affairs. But Eva is prepared for this. Kasper has secrets, she knows them, and she'll use them to get what she wants. As the threats against him mount, Kasper is drawn into a world of intrigue he could never have anticipated. Why is Eva so insistent that he find the pilot? Who is the shadowy Frau Beckmann and what is her hold over Eva? Under constant surveillance, Kasper navigates the dangerous streets and secrets of a city still reeling from the horrors of war and defeat. As a net of deceit, lies and betrayal falls around him, Kasper begins to understand that the seemingly random killings of members of the occupying forces are connected to his own situation. He must work out who is behind Eva's demands, and why - while at the same time trying to save himself, his father and Eva. Review: The Spring of Kasper Meier takes you to a desolated post-war Berlin, where Kasper trades in the black market anything he can to try to keep his old and poorly father and himself alive while blocking any memory of his past, before the war, when he was the happiest with his partner. Surrounded by misery and extrem proverty, he minds his own business and when Eva appears offering him a deal en exchange for finding a British pilot, he is not willing to cooperate. What he doesn't know is that this pretty fragile girl is in the middle of something bigger, darker and more dangerous than he first imagined and maybe there is no way out of it, neither for him nor for her, no matter how hard he tries. When I first started the book, it took me a while to get into the story but after some chapters, I was hooked. Ben Fergusson writes a gripping thriller that captures you. His thorough descriptions and attention to detail take you to this desolated city where not only can you imagine the streets, the ruins and the atmosphere of dispair but you can actually smell it and feel the terror and hopelessness of the characters. This novel is packed with action, mistery, historical interest and compelling descriptions. 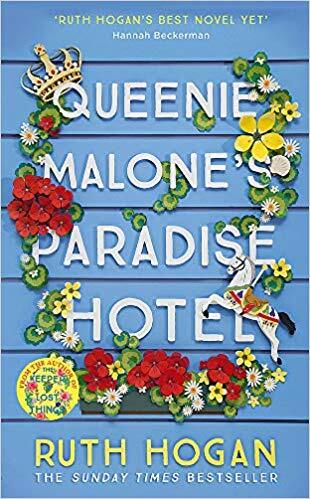 As for the characters, Kasper Meier is a complex man, he seem ruthless and willing to do anything to survive at the beginning but little by little you discover bits of his past, of his real self. Before Eva, he had given up on life, he was just surviving but their friendship brings back his hope of something better. And from all the other characters involved in this dark net, you won't be able to forget the twins. Still kids but with the power to destroy lifes, they follow Kasper around to make him cooperate. Once you become their target, there is no way out. 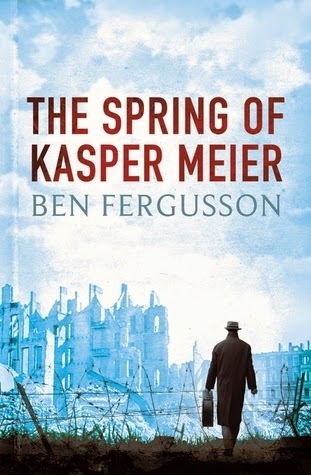 Well written and enthralling, The Spring of Kasper Meier is an excellent debut for Ben Fergusson, one you don't want to miss. I'll keep my eyes open for his future work.